At some time this morning, my blog finally reached 100,000 views! It’s the little things in life. I have been warned, by one whose opinion means much to me, that the following blog post is “incredibly boring”, and also that “nobody cares”. While a cataloguing of my books might have value for any future insurance claim, does it need to be published? A cogent critique! And yet, being the pedant that I am, I am going to publish it anyway. Feel free to simply look at the pretty pictures, skip to the Old and Rare Books section near the end, or else skip the whole thing altogether and wonder why you let yourself contribute to my slowly growing view count. This is bookshelf #1. It might not look like much, but it does fit snugly into its little niche. This is the first of my two academia shelves, and sorted only by the author’s last name. 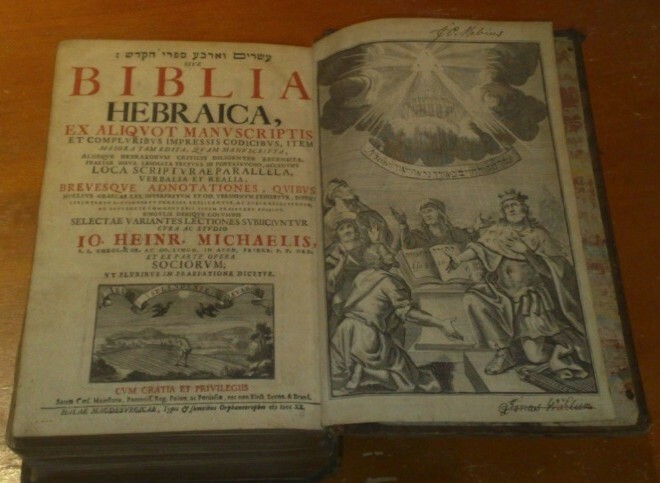 Included here are books that deal with biblical studies, Qumranic literature, rabbinic literature and Jewish history. 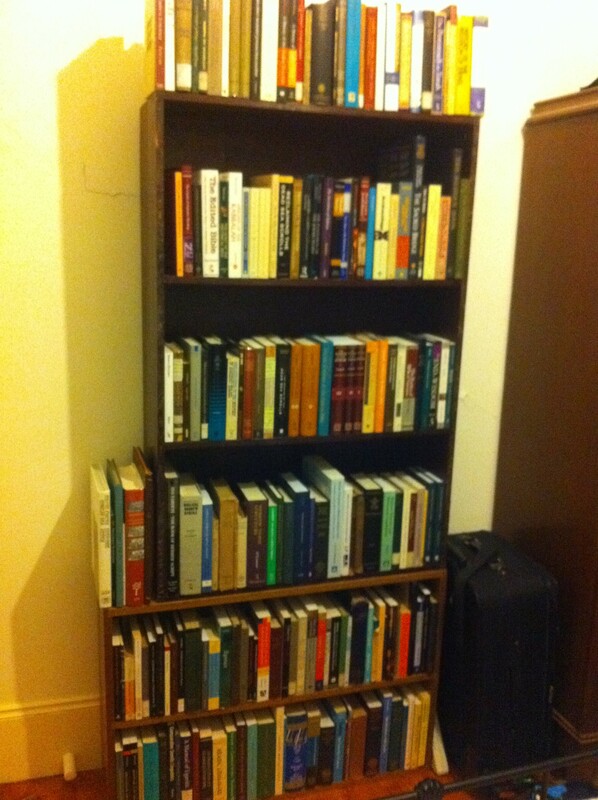 Books are arranged from right to left and include the ABD, two volumes of the IVP Dictionary of the Old Testament (“Pentateuch” and “Historical Books”), David Biale’s (ed.) 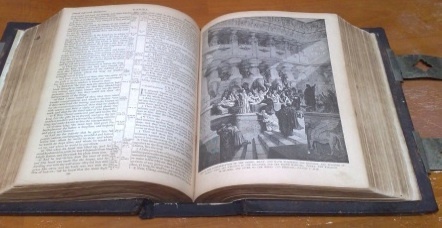 Cultures of the Jews, four volumes of the “Compendia Rerum Iudaicarum” series (Mikra, Jewish Writings of the Second Temple Period, and Parts 1 and 2 of The Literature of the Sages), twelve volumes of The International Critical Commentary (Genesis, Numbers, Deuteronomy, Judges, Samuel, Kings, Isaiah 1-27, Ezekiel, Amos and Hosea, Job, Daniel and Chronicles), and all four volumes of Menachem Elon’s Jewish Law: History, Sources, Principles. • Norman Gottwald’s The Hebrew Bible: A Socio-Literary Introduction. 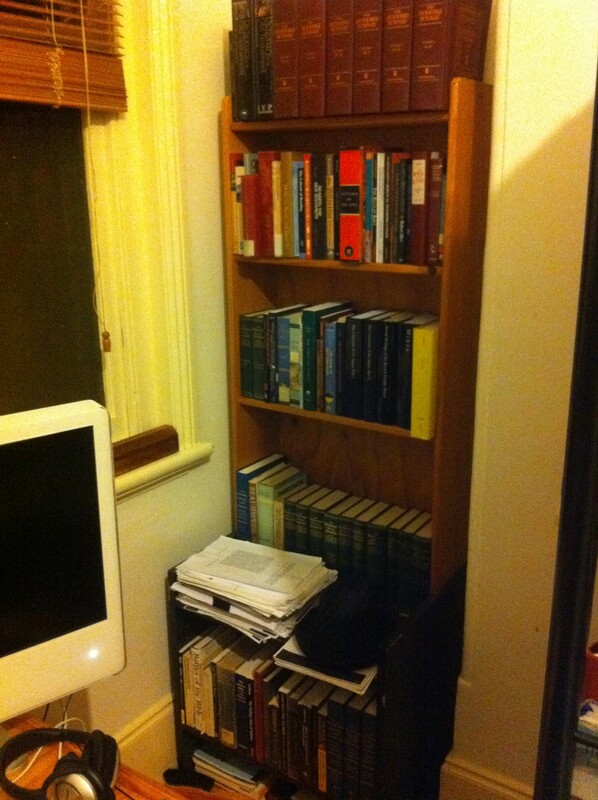 This is bookshelf #2: the second of my two academic shelves. From the fourth shelf down is material pertaining to the Hebrew language: Biblical, Rabbinic and, in one instance, Israeli (Ghil’ad Zuckermann’s Language Contact and Lexical Enrichment in Israeli Hebrew). In addition to other works of scholarship on Hebrew, I have a total of twelve grammars (Arnold and Choi, A. Davidson, B. Davidson, Gesenius, Joüon and Muraoka, Lambdin, Segal, Sperber, Spinoza, van der Merwe, Waltke and O’Connor, Weingreen and Williams). After Hebrew, things are a bit of a mess. I have books (grammars, dictionaries, other scholarship) concerning Aramaic, Syriac, Coptic, Greek, Latin, Yiddish, Akkadian, Arabic, Ge’ez and Ugaritic, followed by a few works that deal with comparative Semitics. Between Syriac and Coptic, however, lie all of my linguistics and literary critical books. The shelf is pretty tight, and in order to make room for newcomers, I have been moving unwanted literary critical texts to one of the shelves in my living room, together with material pertaining to modern European languages. When I run out of space for new books, I’ll just have to get a bigger house. • Emanuel Tov’s Textual Criticism of the Hebrew Bible. While I imagine that he would not like to know it, I’ve a huge debt of gratitude to Prof. Lawrence Schiffman, whose From Text to Tradition: A History of Second Temple & Rabbinic Judaism did wonders in getting me out of yeshiva. Favourite linguistic or grammatical works include Sue Groom’s Linguistic Analysis of Biblical Hebrew, Paul Joüon and Takamitsu Muraoka’s A Grammar of Biblical Hebrew, and Peter Cotterell and Max Turner’s Linguistics & Biblical Interpretation. Most formative in this area, however, would be Bruce Waltke and M. O’Connor’s An Introduction to Biblical Hebrew Syntax and, of course, Kautzsch and Cowley’s Gesenius’ Hebrew Grammar. These are bookshelves #3 and 4. I couldn’t get a clear shot from the other side, which is the first of my three primary literature shelves. That one (the inverse of the side that you can see) contains material relating to the Hebrew Bible and to the period of the second temple. On the top shelf is my Miqra’ot Gedolot, to be followed by a Tiqqun Qor’im, a set of Torat Hayyim, a BHS, witnesses to the Hebrew Bible (MT, SP, LXX, Peshitta, Vulgate, Saadiah’s Arabic translation and some Coptic mss), a facsimile of the Geneva Bible, the KJV, RSV and NRSV, the Jerusalem Bible, Martínez and Tigchelaar’s Dead Sea Scrolls Study Edition, two editions of Ben Sirach (one, the official publication with plates; the other, a critical edition), Josephus, Philo, and critical editions of the Nag Hammadi library, the Apocrypha and the Pseudepigrapha. After that, I have a concordance (Even-Shoshan), an English Mishna (Danby), the BDB, HALOT, Jastrow, an excellent index of the rabbinic literature (arranged by scriptural source) and – because I like to “cheat” – both Kehati’s and Albeck’s commentaries on the Mishna, as well as Rabbi Steinsaltz’s Hebrew translation of the Babylonian Talmud. Next to that set is Frank’s grammar on Babylonian Talmudic Aramaic, and I have found that by assiduously avoiding everything he has to say about Biblical Hebrew (a waw that “converts the tense”! Indeed! ), I have so far avoided throwing it at my wall. On the side that you can see in the picture, I have my primary rabbinic literature: midrash, parshanut, chassidut and philosophy. From the top right, there’s the Etz Hayyim in four volumes, after which is all of my midrash aggadah: Midrash Rabbah, Midrash Tehillim (“Shocher Tov”), Yalqut Shim’oni, Midrash Tanchuma, Leqach Tov, Pirqei deRebi Eliezer, Pesiqta deRav Qahana, Pesiqta Rabbati, Seder ‘Olam Rabbah, Seder ‘Olam Zuta, Tana deVei Eliyahu and Sekhel Tov. After that is an English translation of Bialik and Ravnitzky’s Sefer haAggadah, and then all of my parshanut. That includes Mishnat haRosh (a compendium of Rabbeinu Asher‘s observations on the parsha, culled from his writings and the writings of his son), Gur Aryeh (the Maharal‘s 16th c. super-commentary on Rashi), the Meshekh Chokhmah of Rabbi Meir Simcha of Dvinsk (the “‘Or Sameach”), seven homiletic commentaries of Rabbi Yehonatan Eybeschütz (Tiferet Yehonatan, Chasdei Yehonatan, Ahavat Yehonatan, Divrei Yehonatan, Nefesh Yehonatan, Midrash Yehonatan and Tzefichat haDevash) and a collection of scriptural observations of the Vilna Gaon: Rabbi Eliyahu ben Shlomo Zalman. Chassidut! The only work of “general Chassidut” that I have is the Noam Elimelekh. For Breslov, I have the Liqqutei Moharan, Shivchei haRan, Sikhot haRan, and an English translation of Rebbe Nachman’s stories. I have a haggadah with a commentary by Spinker Hasidim, the Sefat Emet of the second Gerrer Rebbe, Reb Arleh’s Shomer Emunim (in two volumes), together with a couple of works that were published by Toldos Aharon: Tiqvat haGe’ulah and Derekh Emunah. 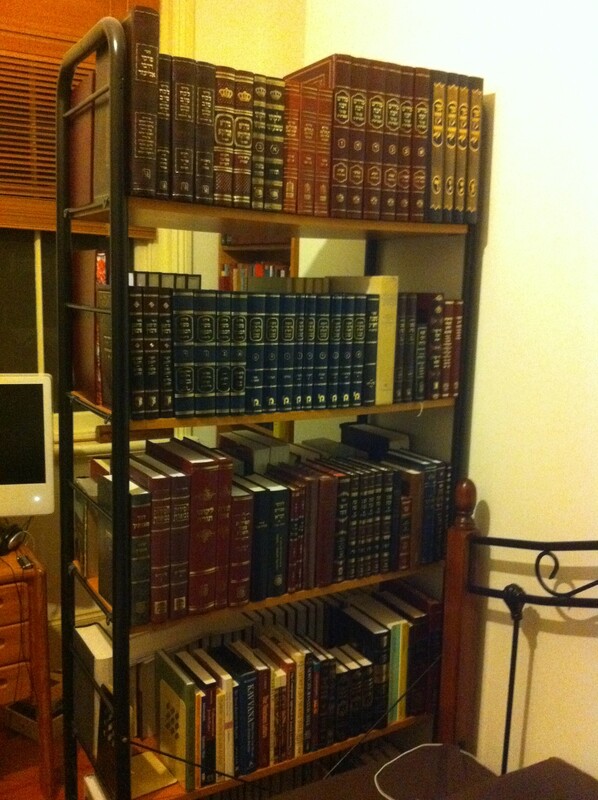 I have the Satmar Rebbe’s VaYoel Moshe, and number of works of Chabad: Liqqutei ‘Amarim (“Tanya”), Siddur Torah ‘Or, Seder Tefillot miKol haShanah, Torah ‘Or and Liqqutei Torah, two volumes of commentary on various ma’amarim of the Baal haTanya (Chassidut Mevu’eret), the Tzemach Tzedek’s Derekh Mitzvoteikha, and a few works by the Lubavitcher Rebbe, including his Hadranim al-haRambam veShas, Hilkhot Bet haBechirah, and ‘Inyanah shel Torat haChassidut. I did have the full set of Liqqutei Sichot, but until I figure out whether or not I want to sell it, it’s sitting on a shelf in my living room. As for philosophy, I’ve the Rambam’s Moreh haNevukhim (trans. S. Pines) and R’ Yehuda haLevi’s haKuzari, as well as Reishit Chokhmah, Sha’arei Teshuvah, ‘Orkhot Tzadikkim, and the Ramchal‘s Derekh haShem, Derekh haTevunot and Sefer haHigayon. How I love those last two. I also have a variety of English books on this shelf, whether philosophical (Soloveitchik, Leibowitz, Jacobs, Hirsch and Heschel) or academic. For the latter, I have three works on prayer (R’ Seth Kadish’s Kavvana: Directing the Heart in Jewish Prayer, Jeremy Schonfield’s Undercurrents of Jewish Prayer, and Rabbi Prof. Daniel Sperber’s On Changes in Jewish Liturgy: Options and Limitations), as well as Marc Shapiro’s incredible The Limits of Orthodox Theology: Maimonides’ Thirteen Principles Reappraised. I also have an excellent and provocative work by a brilliant and highly underrated scholar: Judith Plaskow’s Standing Again at Sinai: Judaism From a Feminist Perspective. I have been greatly intrigued by feminist approaches to scripture ever since I encountered the works of Cheryl Exum and Phyllis Trible, and feminist (or at least, gender-based) approaches to rabbinic literature since I discovered Daniel Boyarin. Judith Plaskow’s work is the feminist approach to Jewish tradition par excellence. A must read for feminists, and for those who haven’t yet realised that that’s what they are. You cannot see it in the photo, but buried on the bottom shelf, like an embarrassing neurosis, is material pertaining to the Holocaust. As with many of my interests, there is a thin line between analysis and devotion, and a confusion over whether or not there is a difference between the two. For that reason, I include here a slim volume of drawings and poems that were made and composed by children in Theresienstadt Concentration Camp (I Have Not Seen a Butterfly Around Here), a DVD that contains footage from Penig, Ohrdruf, Breendonck, Hannover, Arnstadt, Mauthausen, Buchenwald and Dachau, and the Piaseczno Rebbe‘s Sacred Fire: Torah From the Years of Fury 1939-1942 (trans. 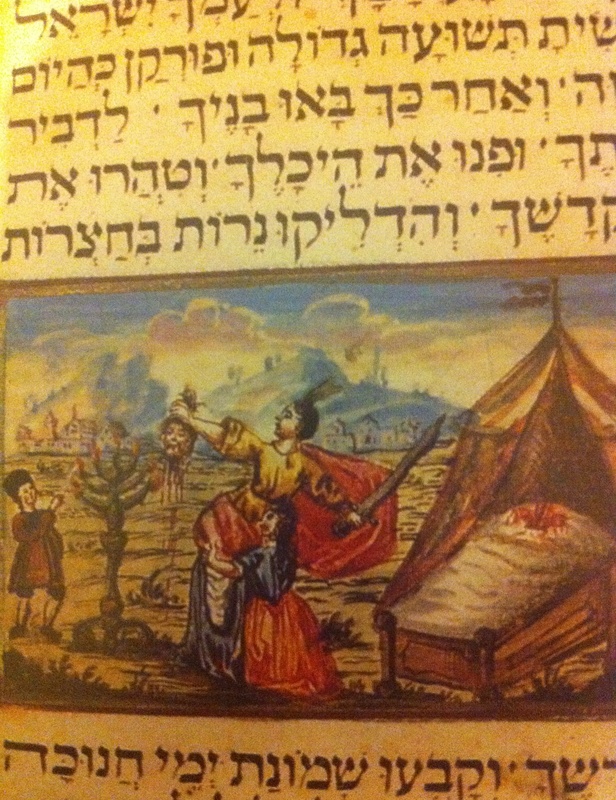 from Esh Kodesh), which could have been placed with parshanut, or even chassidut. Within this section of my fourth shelf, I also have Lucy Dawidowicz’s The War Against the Jews, Raul Hilberg’s Sources of Holocaust Research: An Analysis, his three-volume The Destruction of the European Jews, Albert Speer’s Inside the Third Reich, and Claude Lanzmann’s brilliant 9.5hr documentary, Shoah. Ah, it’s bookshelf #5! This one is a continuation of my primary rabbinic literature, but this time with a decidedly halakhic and kabbalistic theme. Along the top is my Babylonian Talmud, followed by my Palestinian Talmud (in eight clunky volumes; I miss my single-volume Yerushalmi). The second shelf contains antique and rare books, recently rescued from the cabinet in my living room. 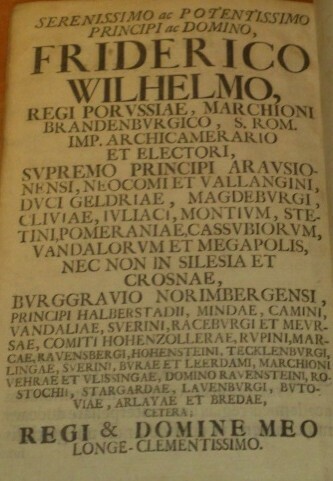 The oldest of these books is from 1701, although some of them were published in places like Warsaw, Vilna and Berlin immediately prior to the Shoah. One of them (Avraham Mapu’s Ahavat Tziyon) was published in “Palestine”, 1948. 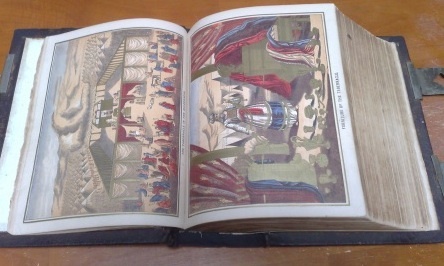 The introduction notes that it was published “שבועים להכרזת המדינה היהודית” (two weeks after the declaration of a Jewish state)! Those that are in particularly poor condition (excluding a few that are at the book doctor’s as we speak) are sitting in the cabinet still, waiting to be looked after. 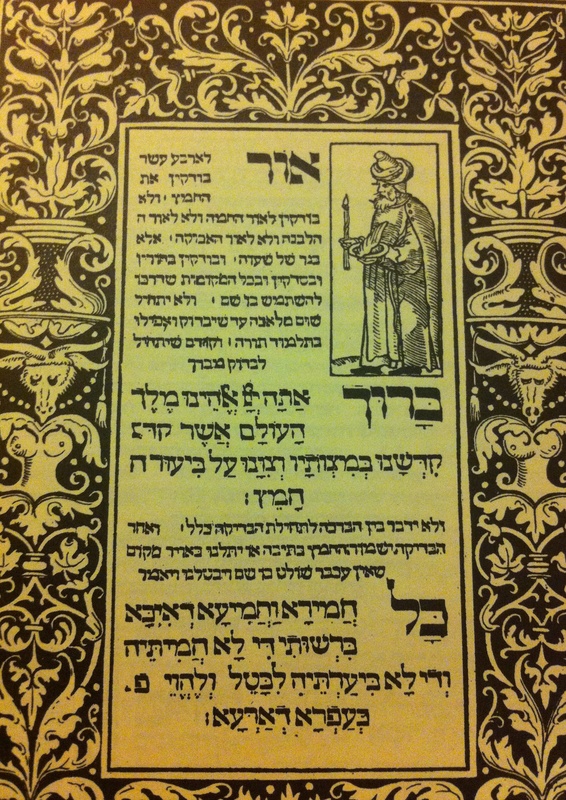 At the end of the Old and Rare Books section, the halakhic literature continues with my midrash halakha: Mekhilta deRebi Shim’on bar Yochai, Mekhilta deRebi Ishmael, two versions of Sifra (“Torat Kohanim”; one of them a critical edition), Sifrei on Numbers and Deuteronomy, and Midrash Tannaim. 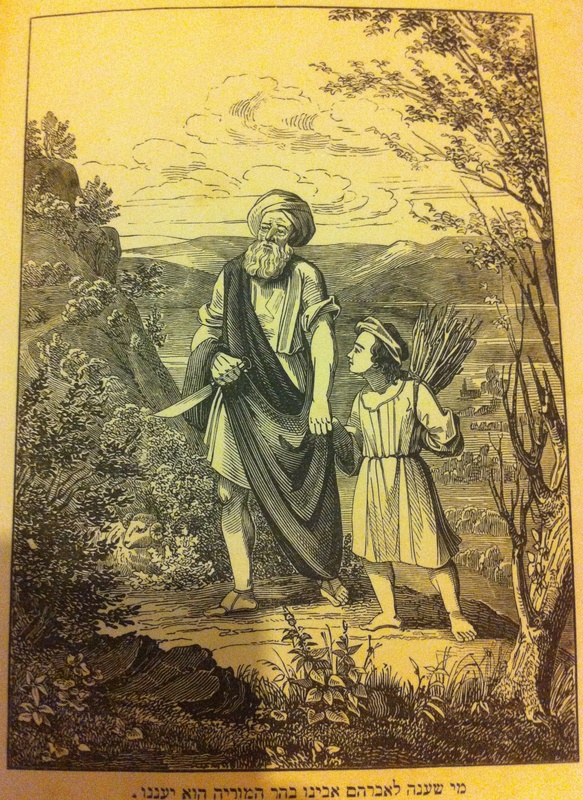 Next is my 13-volume Mishnayot Zekher Chanokh: a set of Mishna, published by Moznaim, with every conceivable commentary and super-commentary that you could poke a stick at. Following that is Sefer haChinukh, the Rambam’s Sefer haMitzvot, and the Rambam’s illustrious Mishne Torah. After those is Rabbi Yitzhak of Vienna’s ‘Or Zarua and the anonymously authored Sefer Kol Bo, followed by the Arba’ah Turim and the Shulchan Arukh, the Shulchan Arukh haRav, Hayyei Adam, Mishne Berurah, Kitzur Shulchan Arukh, Ben Ish Chai, the Arukh haShulchan and the Arukh haShulchan he’Atid. Some “minor” works of halakha follow, some of them in English, after which I’ve placed my Sifrei haGeonim: Rav Saadiah Gaon’s Siddur, the famous responsum of Rav Sherira Gaon and the Sheiltot of Rav Achai Gaon. My favourite siddur follows (Siddur Vilna, if you’re curious, although I think that Siddur Torah ‘Or and Seder Tefillot miKol haShanah are both marvellous), the machzorim that I inherited from my grandfather and a couple of haggadot. 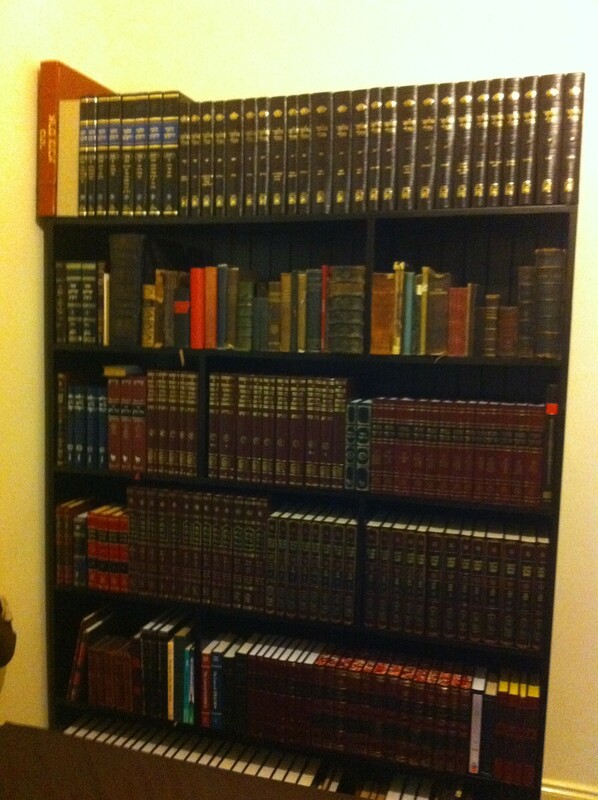 You cannot see the bottom shelf on this photo either, but it contains some “kabbalistic” siddurim with kavvanot included: one three-volume set in the tradition of Rabbi Shalom Sharabi, a single volume that purports to be the siddur of Rabbi Asher Margoliot, and two hand-written siddurim by a hasid of Shomer Emunim (one of them with a haskamah from Rabbi Yisroel Reizman of the Edah). I have a couple of copies of Sefer Yetzirah (one with R’ Aryeh Kaplan’s commentary, and one with commentaries by the Raavad, the Ramban, Rav Saadiah Gaon and the Vilna Gaon, amongst others), R’ Aryeh Kaplan’s translation and commentary of Sefer haBahir, and two versions of Sefer Raziel haMal’akh. Following those is a reference book on Jewish amulets, a nice three-volume set of Sefer haZohar al-haTorah, and the twenty-two volume “Matoq miDevash” commentary on Sefer haZohar (with Tiqqunei haZohar and Zohar Chadash). • Unknown. A siddur in the Ashkenazi tradition, of unknown provenance. The binding is strong, but the pages are in poor condition. My guess is that it is either early 20th century, or very late 19th. Crikey. I hope you have good fire insurance. The intellectual flammability of all those works together is almost a physical risk to the room :) That is amazing, Simon! And actually a pretty interesting read. I like browsing book titles, and the contours of collections. I can understand devoting years and years to delving through the endless material; there’s so much in it, and so much of it. I have a recurring fantasy that time should stop for a century or so and leave me trapped in here. Failing that, I might just buy a million tins of tuna and barricade the door. Mm, understand. What would you do when time resumed? You really need to get a decent camera. You’re not doing those poor things justice.